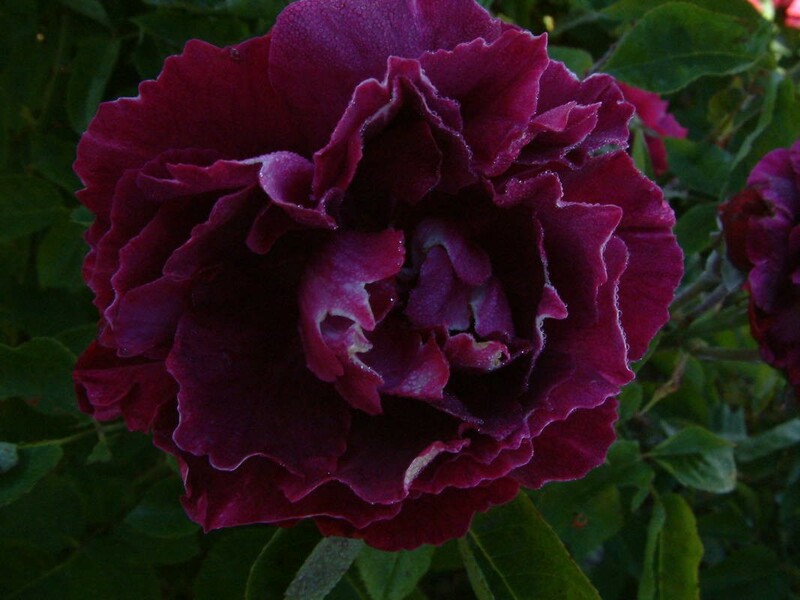 Deep red flowers with white edging to petals. Fragrant and healthy. 1m. 1897.